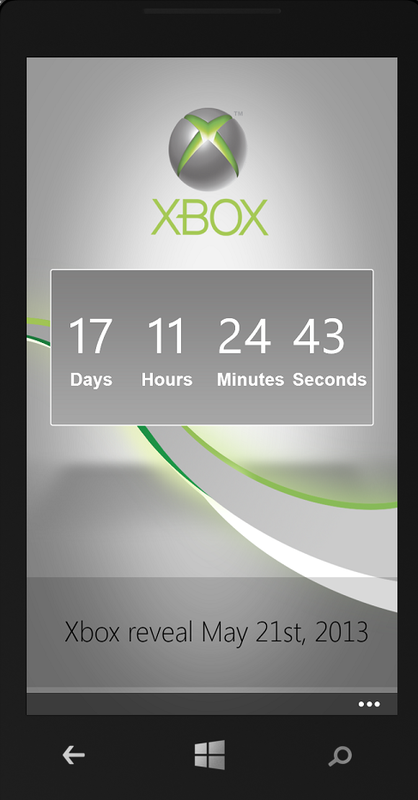 Recently, with the XBox announcement, we decided to build out a Windows Phone app that counts down to the reveal date which looks as follows. 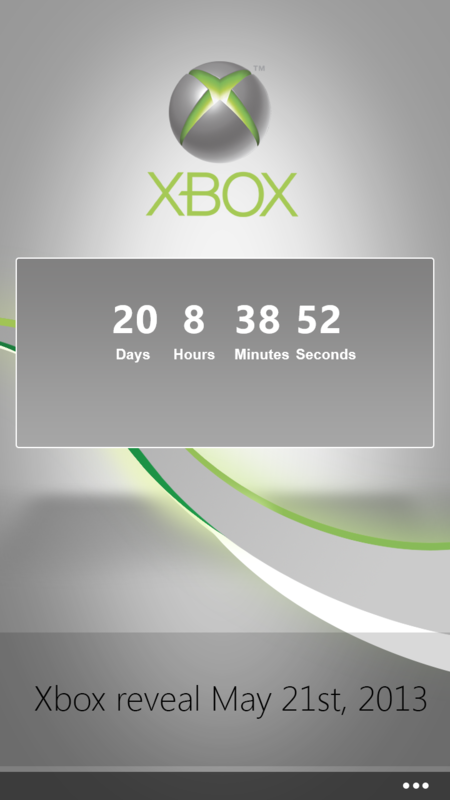 We have the app in certification as of May 3 2013 (submitted April 30), but is still going through the process. 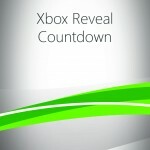 As I don’t expect it to pass because of the XBox logo usage, decided to make a tutorial out of it. But for all those enthusiast (and developers), you can grab the source and install on your Windows Phone. Throughout some of the demos, I showed the Contoso Cookbook. The original download for Contoso Cookbook which goes through a lot of concepts is available in the Windows 8 Camp in a Box. Here is the video which is hosted on the Channel 9 site and be sure to check out all the other Developer Movement Web Camp presentations including my other one A Lap Around Windows 8 Development for HTML Developers. 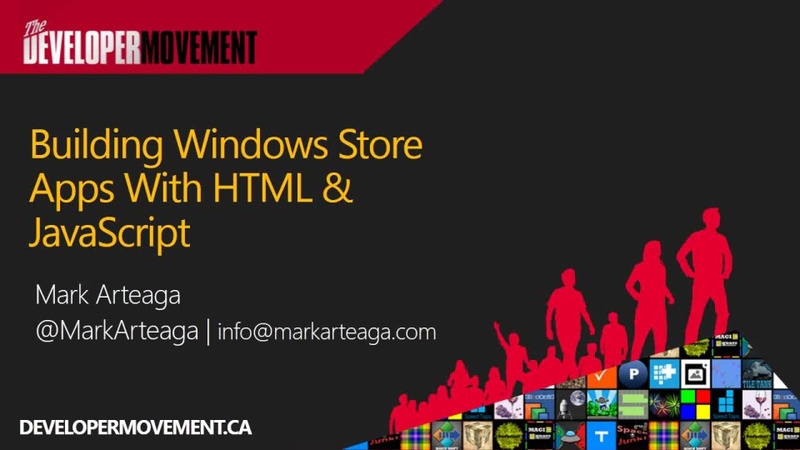 Here is the video which is hosted on the Channel 9 site and be sure to check out all the other Developer Movement Web Camp presentations. I recently announced the release of two Windows 8 templates on GitHub. 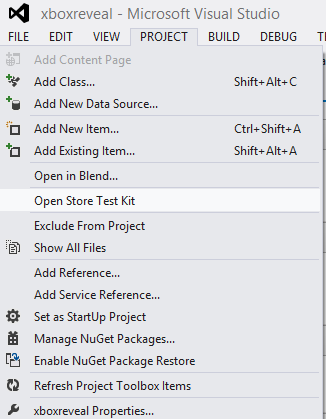 This article will go through a technical overview of the Windows 8 Finder App Template and how to get started with it. The Windows 8 Finder Template is a template developed to allow developers to quickly and easily create a location based type application for the Windows 8 store. 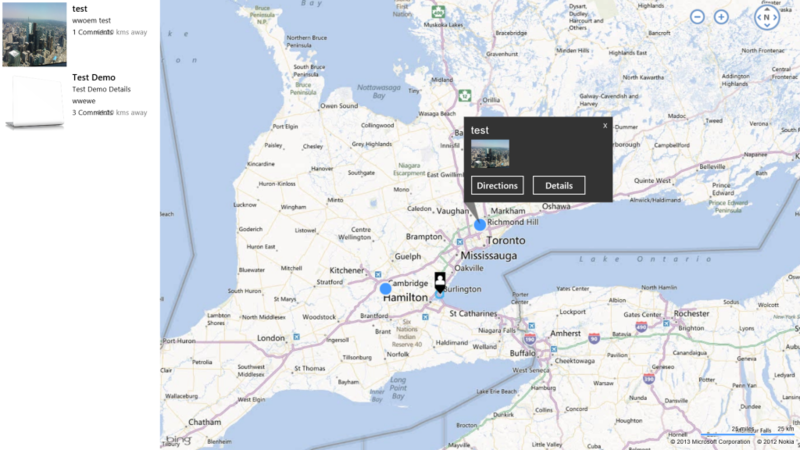 It allows a developer to easily pull existing point of interest data into the app to visually display on a map. If no point of interest data set is available, it is accompanied by a backend NodeJS server which allows the importing of data which can be used to feed the Windows 8 application. For the past month we have been busy putting together some Windows 8 templates to help developers build apps for Windows 8 faster. With the help of Barranger, I have built out two Windows 8 templates with each having a companion backend server. So what templates are being released? The Windows 8 Finder App Template is a template developed to allow developers to quickly and easily create a location based type application for the Windows 8 store. It allows a developer to easily pull existing point of interest data into the app to display on a map. In the template, we have included some pre-defined point of interest feeds. If those are not exactly what you are looking for, you have the option to use the optional backend NodeJS server which allows the importing of data which can then be used to feed the Windows 8 application. Both the Windows 8 Finder Template source code and NodeJS Finder App Server source code can be found on GitHub. The Windows 8 Hero App Template is a template developed to allow developers to quickly and easily create an application to collect certain information while out in the field on a Windows 8 device. For example, if a developer wanted to create an app to allow people to submit information on roads needing pothole repairs, the Hero App Template is a good starting point. The Hero App Template is a derivative of the Windows 8 Finder App Template described above. The Hero App Server is a required component and essentially provides a server to collect submitted data and feed the data back to users. It is a branch from the Finder App Server so is similar but adds more functionality. Both the Windows 8 Hero App Template and NodeJS Hero App Server source code can be found on GitHub. So feel free to download and start playing with them and share any feedback. I’ll be following up next with quick start guides on both templates and how to get up and running.